For the first time, the ILC gradient specification of 31.5 megavolts per metre has been achieved on average across all of the eight cavities assembled in an ILC-type cryomodule. A team at Fermilab reached the milestone earlier this month. It is an achievement for scientists, engineers and technicians at Fermilab and Jefferson Lab in Virginia as well as their domestic and international partners in superconducting radio-frequency (SRF) technologies. The cryomodule, called CM2, was developed and assembled to advance superconducting radio-frequency technology and infrastructure at Americas-region laboratories. The CM2 milestone achievement has been nearly a decade in the making, since US scientists started participating in ILC research and development in 2006. An accelerating gradient is a measure of how much of an energy boost particle bunches receive as they zip through an accelerator. Cavities with higher gradients boost particle bunches to higher energies over shorter distances. In an operational ILC, all 16,000 of its cavities would be housed in cryomodules, which would keep the cavities cool when operating at a temperature of 2 kelvins. While cavities can achieve high gradients as standalones, when they are assembled together in a cryomodule unit, the average gradient drops significantly. The road to the 31.5 MV/m milestone has been a long and arduous one. Between 2008 and 2010, all of the eight cavities in CM2 had individually been pushed to gradients above 35 MV/m at Jefferson Lab in tests in which the cavities were electropolished and vertically oriented. They were among 60 cavities evaluated globally for the prospects of reaching the ILC gradient. This evaluation was known as the S0 Global Design Effort. It was a build-up to the S1-Global Experiment, which put to the test the possibility of reaching 31.5 MV/m across an entire cryomodule. The final assembly of the S1 cryomodule setup took place at KEK in Japan, between 2010 and 2011. In S1, seven nine-cell 1.3-gigahertz niobium cavities strung together inside a cryomodule achieved an average gradient of 26 MV/m. An ILC-type cryomodule consists of eight such cavities. But the ILC community has taken big strides since then. Americas region teams acquired significant expertise in increasing cavity gradients: all CM2 cavities were vertically tested in the United States, initially at Jefferson Lab, and were subjected to additional horizontal tests at Fermilab. Further, cavities manufactured by private vendors in the United States have improved in quality: three of the eight cavities that make up the CM2 cryomodule were fabricated locally. Hands-on experience played a major role in improving the overall CM2 gradient. In 2007, a kit for Fermilab’s Cryomodule 1, or CM1, arrived from DESY, and by 2010, when CM1 was operational, the workforce had adopted a production mentality, which was crucial for the work they did on CM2. Among other tasks, the CM2 group will gently push the gradients higher to determine the limits of the technology and continue to understand and refine it. They plan to power and check the magnet—manufactured at Fermilab— that will be used to focus the particle beam passing through the cryomodule. Also in the works is a plan to study the rate at which the CM2 can be cooled down to 2 kelvins and warmed up again. Finally, they expect to send an actual electron beam through CM2 in 2015 to understand better how the beam and cryomodule respond in that setup. Scientists at Fermilab also expect that CM2 will be used in the Advanced Superconducting Test Accelerator currently under construction at Fermilab’s NML building, where CM2 is housed. The SRF technology developed for CM2 also has applications for light source instruments such as LCLS-II at SLAC in the United States and DESY’s XFEL. And it’s definitely a viable option for a future machine like the ILC. Last month, LC NewsLine reported the achievement of the world’s smallest beam size of 55 nanometres at the ATF2 facility at KEK. At two international conferences held in June and July, the next record of 44 nanometres was reported by Kiyoshi Kubo and Shigeru Kuroda. 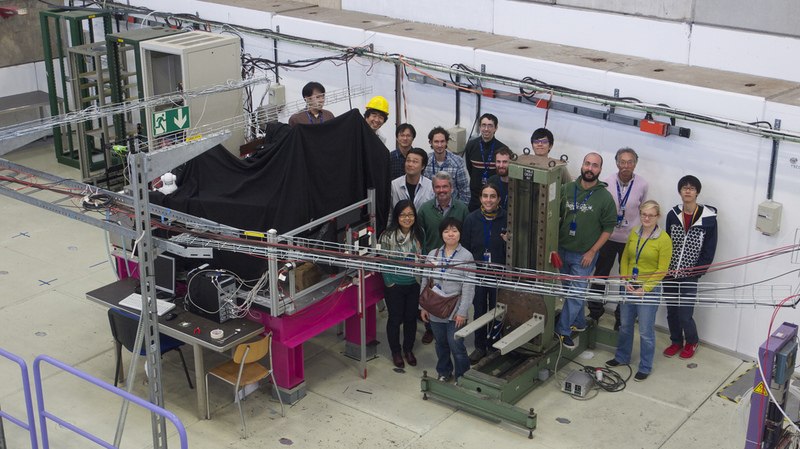 The beam line at ATF2 is designed as a prototype of the final focus system of the ILC, with basically the same optics, similar beam energy spread, natural chromaticity and tolerances of magnetic field errors. For linear colliders, realising an extremely small and stable beam is essential. At the ILC, the design vertical beam size and required position stability at the interaction point is at the nanometer level. The target beam size at ATF is 37 nanometres. Because of the difference in the beam energy, 37 nanometres at ATF will correspond to smaller than 5 nanometres at the ILC, the specification for the ILC design.. 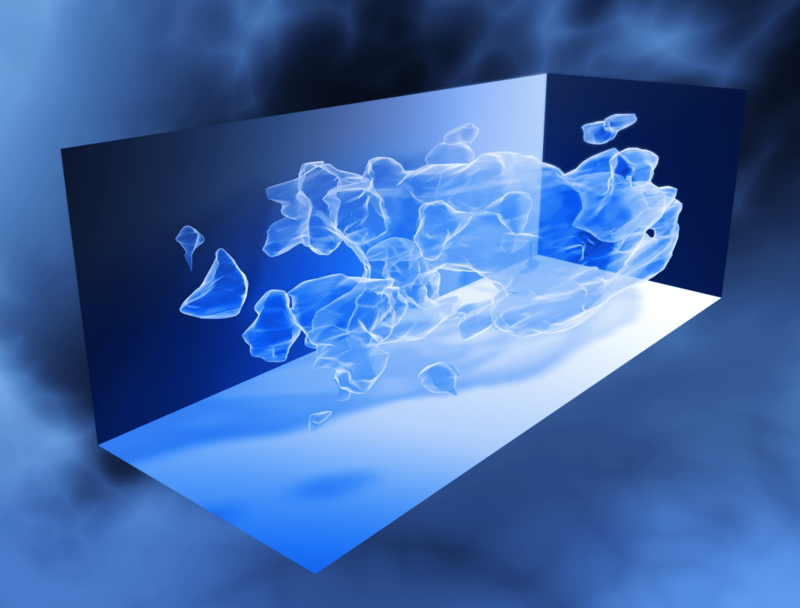 The result presented at ICHEP and IPAC was just one step away from the target size. “Also, we removed as much possible strong wakefield sources on every weekend when we stop the operation,” said Kuroda. “To put it in a nutshell, the further stabilisation of the beam and reduction of wakefield,” said Kuroda about the contributing factors. The beam size is still slightly larger than the target size of 37 nanometres. ATF is now under summer shut-down, and the scientists are planning to work on the remaining issues in the autumn this year. In the late 1800s, many scientists thought that the major laws of physics had been discovered—that all that remained to be resolved were a few minor details. Then in 1896 came the discovery of the first fundamental particle, the electron, followed by the discovery of atomic nuclei and revolutions in quantum physics and relativity. Modern particle physics had just begun, said Natalie Roe, the Director of the Physics Division at Lawrence Berkeley National Laboratory, at the recent Large Hadron Collider Physics Conference in New York. Since then, physicists have discovered a slew of new elementary particles and have developed a model that accurately describes the fundamental components of matter. But this time, they know that there is more left to find—if only they can reach it. In a presentation and a panel discussion chaired by New York Times science reporter Dennis Overbye, experts at the LHCP Conference discussed the future of collider-based particle physics research. 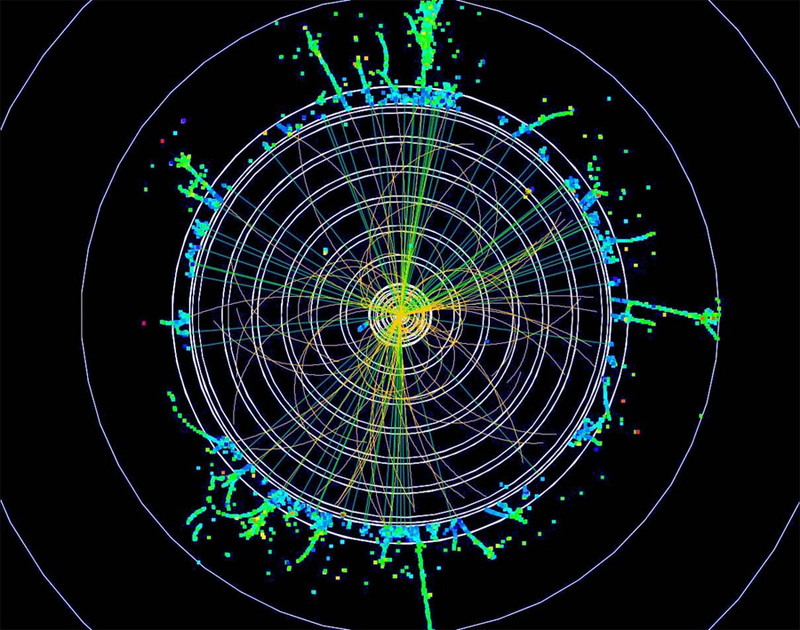 The discovery of a Higgs boson bolstered physicists’ confidence in the Standard Model—our best understanding of matter at its most fundamental level. 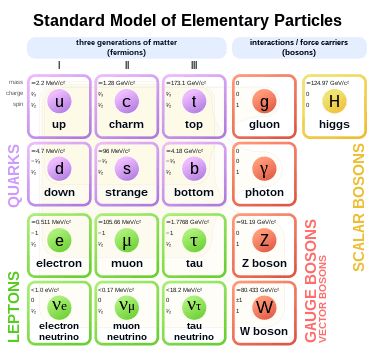 But the Standard Model does not answer important questions such as why the Higgs boson is so light or why neutrinos have mass, nor does it account for dark matter and dark energy, which astronomical observations indicate make up the majority of the known universe. The LHC will access an energy level higher than any previous accelerator, up to 13 trillion electronvolts, when it restarts in 2015. Scientists are already thinking about what could come next, such as the proposed International Linear Collider or hadron colliders under discussion in Europe and Asia. Building any proposed future accelerator will not be easy, “and none of them are cheap,” Gianotti said. However, one should not discount the opportunities that technological advances can afford. Gianotti pointed out that, in a 1954 presentation to the American Physical Society, Nobel Laureate Enrico Fermi estimated that an accelerator capable of accessing up to an energy of 3 trillion electronvolts would need to encircle the Earth and would cost about $170 billion. Thanks to the development of colliders and superconducting magnets, the 17-mile-long LHC has reached an energy level more than twice as high for a small fraction of Fermi’s estimated cost. Whatever the next step may be, physicists must look toward the future as an international community, panelists said. 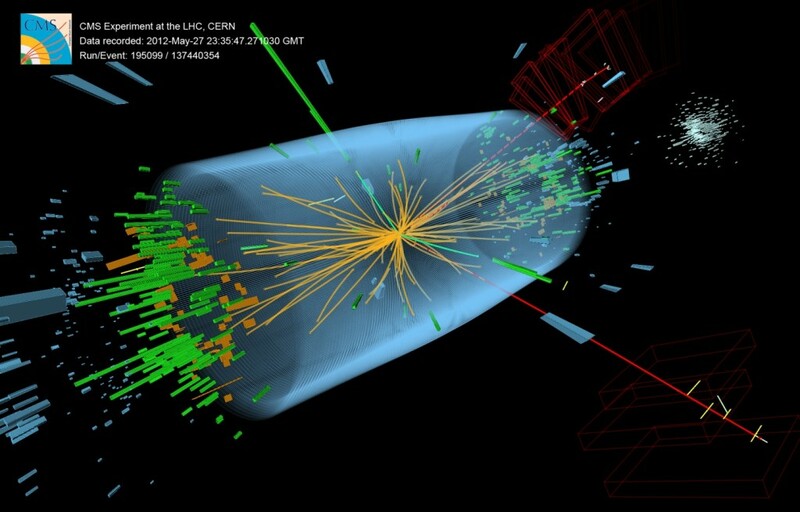 According to scientists at the LHCP Conference, the discovery of the Higgs boson by a large international collaboration marked an era in which the big questions are tackled not by one nation, but by a global community. The CLIC accelerator collaboration has elected a new spokesperson. Phil Burrows of the University of Oxford succeeds Roberto Corsini of CERN. Over the next three years, Burrows will be engaging with the institutes that are members of CLIC and helping to ensure that CLIC’s R&D programme pushes ahead during the critical phase ahead of the next update of the European strategy for particle physics. 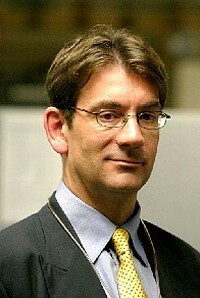 Corsini will continue his technical leadership of CLIC/CTF3. For the next few years, the focus is definitely on CLIC R&D, but Phil will undoubtedly have more than half an eye on results coming out of the LHC when it starts operating again in 2015. The International Linear Collider will provide an experimental environment of unprecedented precision. One of the important issues at ILC experiments is the measurement of fundamental parameters with high precision, to match with the precision level of the experiment. The discovery of the Higgs particle brought demands on the ability to make predictions to a new level. Driven by those demands from the experimental results, scientists have been making efforts to develop techniques to calculate what will happen when particles collide, and these techniques have made big leaps in recent years. Sill, more studies are needed for ILC. Scientists gathered at Weimar, Germany for the Loops and Legs in Quantum Field Theory to tackle this challenging task. This bi-annual workshop on elementary particle theory was organised by the theory group of DESY in Zeuthen. “For more than 20 years this meeting brings together about 100 scientists from all over the world to discuss the latest achievements on precise calculations for high energy particle physics in experiment, theory, computational technology and the associated mathematics. This year the focus was on precision LHC processes, but also those at the ILC. Many talks were dealing with Higgs-physics and challenges for the future. It is needless to say that very many of the burning questions ultimately will request the ILC to be decided,” said DESY theorist Johannes Bluemlein. 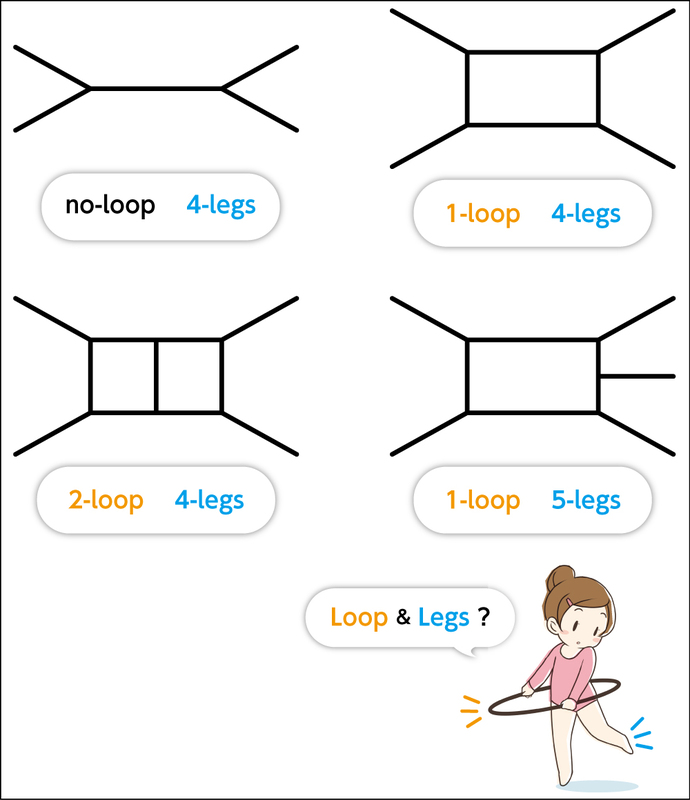 So, what are loops and legs? 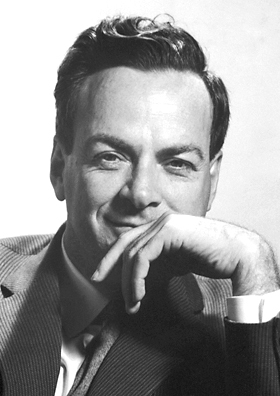 For particle physics studies, scientists use Feynman diagrams that show what happens when elementary particles collide. 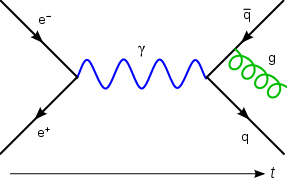 In this Feynman diagram, an electron and a positron annihilate, producing a photon (represented by the blue sine wave) that becomes a quark–antiquark pair, after which the antiquark radiates a gluon (represented by the green helix). When two particles collide and produce two new particles, the diagram has two inbound lines and two outbound lines. “We call the diagram showing this reaction ‘four legs.’ If three particles are produced, ‘five legs,’” said Junpei Fujimoto, a scientist at KEK. The higher the energy of the experiment, the larger the numbers of legs are expected. “For former electron-positron experiments up to 90′s, calculations for four-leg diagrams were enough to provide the reference for the experiments. But for the ILC experiments, we need precise multi-leg calculation to successfully compare theory and experiment,” he said. Fujimoto is a member of the GRACE group, which is working on constructing the systems to calculate Feynman amplitudes including loop diagrams. The group’s final goal is to construct the fully automatic computation system of multi-loop integrals. “We confirmed that the GRACE system is successfully working for one-loop calculation for both the Standard Model and the supersymmetric Standard Model. Now, we need to have a crack at the multi-loop integrals. I hope to have good worldwide cooperation for this challenge”. In addition to the need of discussion, Fujimoto has another aim to attend the Weimar meeting. Participants know very well that some calculations demanded by ILC are quite tough, and also request much CPU power. Nevertheless now it is just the time to start consideration to attack such a huge calculations, and to seek a new way to overcome. Sixteen thousand – that’s the number of the superconducting radiofrequency (SCRF) accelerating cavities needed to build the 500-Giga-electronvolt linear collider. The fabrications of these 16 000 cavities will be divided between the three regions of Europe, the Americas, and Asia. This week, encouraging news about SCRF cavity fabrication came form Asia. “This is our first in-house SCRF cavity,” said Takayuki Saeki, SCRF specialist at the KEK laboratory in Japan. KEK has been working on a study for industrialisation of the SCRF cavity at a facility called CFF (Cavity Fabrication Facility) established in 2011. CFF is equipped with a press machine, vertical lathe, electron-beam welding machine, chemical treatment room, and surface inspection machine, where most of the cavity fabrication processes are done in a one-stop shop. At CFF, scientists are aiming for a high performance and high yield rate, for reducing the fabrication cost, establishing mass-production processes, and preparing the fixtures needed. Prior to the first cavity called KEK-001, they produced a test cavity, KEK-000. “The aim of the KEK-000 was basically to gain experience with cavity fabrication, and learn the basics. This time, we focused more on mass-production,” said Saeki. “We used the different technique to weld the equatorial part of the cavity cells for the KEK-001. We chose the technique best suitable for mass production aiming for cost reduction,” said Saeki. 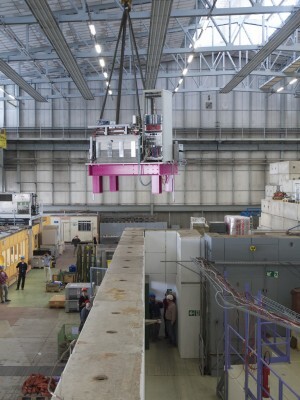 Scientists also adopted a cost-effective fabrication technique for the cavity end parts, which have complicated structures with components such as beam pipe, higher order mode RF coupler, power port, flanges. “We thoroughly investigate the all welding locations to determine the desirable parameters, using niobium plates and pipes. I think it worked very well.” The performance test on KEK-001 will be conducted in a few months. Another good news from KEK is the success in the vertical test of a single cell cavity made out of large-grain niobium, which reached the record accelerating gradient of 45 Megavolts per metre. Several major laboratories have investigated the use of large-grain and single-crystal material in the past years. Large-grain and single-crystal niobium is an alternative material to poly-crystalline, or fine-grain niobium for superconducting cavities, that has potential advantages such as reduced costs and better reproducibility in performance. Last year, a 9-cell niobium SCRF cavity made of large-grain niobium achieved an accelerating gradient of 32.6 MV/m at Peking University (PKU), Beijing, China, in cooperation with KEK. The fabrication of the cavity was finished with careful control of machining, better field flatness tuning, improved surface treatment and electron beam welding.The multiple surface treatment and performance tests on this cavity were carried out by KEK. This cavity, called PKU4, is the first cavity which has reached the requirement for the ILC both in accelerating gradient and intrinsic quality factor in China. There are more advancements on SCRF technology in China. The Institute of High Energy Physics (IHEP), Beijing, is progressing the system assembly of the cryomodule, composed of composed of a 9-cell cavity housed in a cryostat, which maintains the cavity to very low temperature to realise superconductivity. It is now getting ready for the cold performance test later this year. This system will be a prototype to demonstrate full functioning for the ILC SCRF system requirement. These activities and progresses indicate that China has the capability to manufacture superconducting cavities and the SCRF system integration for the ILC. “International collaboration is the key for the success for the ILC construction. And PKU4’s success is a very important milestone for superconducting technology development in China, and also for the China-Japan collaboration,” said Akira Yamamoto, regional director for Asia at the Linear Collider Collaboration. Asia is getting ready for the ILC construction. Over the past decades, colliders have defined the energy frontier in particle physics. Both electron-positron, proton-(anti)proton as well as electron-proton colliders have played complementary roles in fully mapping out the constituents and forces in the Standard Model (SM). We are now at a point where all predicted SM constituents have been found at colliders. Currently only one collider, the Large Hadron Collider (LHC) is running and will run for a while. The last remaining, predicted field/particle in the SM was found at the LHC in 2012 and with increased luminosity and raising the energy to 14 teraelectronvolts (TeV), the LHC will be the field’s only tool to study the Higgs boson. Especially raising the energy will also enable extending the reach for searching for new physics beyond the SM (BSM). Trying to explain the SM and its features and parameters leads us to expect new physics and therefore new particles. There are theoretical expectations that such particles are at the TeV-level energy scale, but in principle they could be at any scale above one TeV and even that depends on their interaction strength. In an ideal world the only way to directly produce such particles/fields in our labs is in colliders. Assuming that we need to go beyond the LHC, we would like a collider or colliders that can reach from a few hundred GeV to very high energies, ultimately if one is allowed to dream the Planck scale of 1019 gigaelectronvolts (GeV). The above reasoning has led to many studies of future colliders at rather different stages of completion or maturity. It is also the driving scientific force behind a worldwide accelerator R&D programme trying to achieve higher accelerating gradients, especially for linear colliders and to achieve higher magnetic fields, for circular colliders. 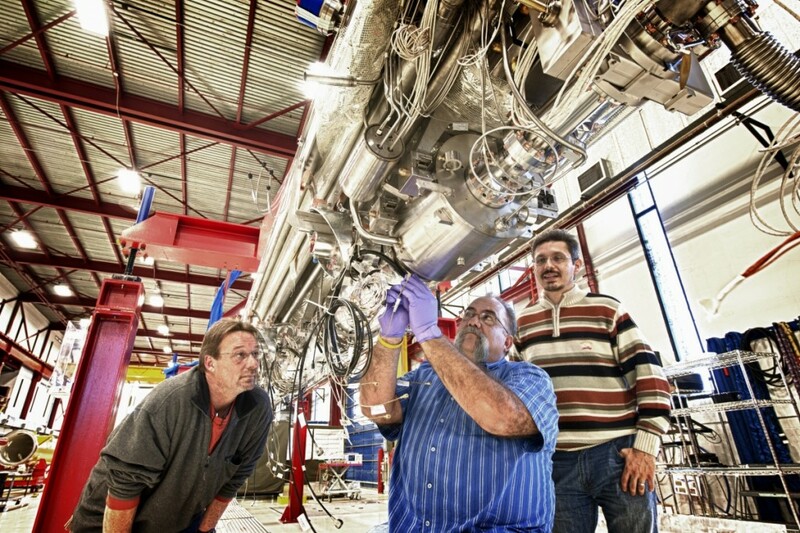 This programme driven by the high-energy physics (HEP) community which needs to build ever higher energy colliders at affordable cost, has led to technologies that enabled other fields of science in obtaining their goals (the European XFEL at DESY, Germany and LCLS II at SLAC, US). These fields often industrialise those technologies before HEP can do it and in that way contribute to possible future machines for HEP. In that way all participating fields of science benefit and contribute. The studies of future HEP colliders mentioned above are very important aspects of HEP. Over the last two decades several of these studies have been undertaken and some are just being started now. They all aim at proposing a future collider and requiring the development of new technologies to be able to reach the energies aimed at. Typically these technologies do not exist at the start of the study, but are anticipated to be within reach, given sufficient research, development and funding. These studies are also on extremely different time scales of possible realisation of concepts. Currently there are four studies worldwide: ILC, CLIC, FCC and a muon collider. 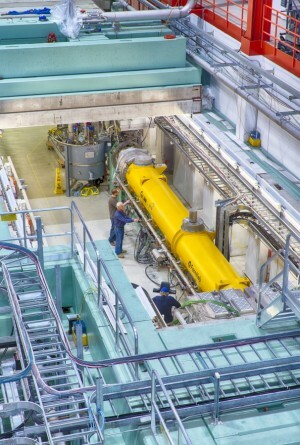 The International Linear Collider (ILC), an electron-positron collider at 500 Gev and possibly upgraded to 1 TeV is the most mature with a Technical Design Report (TDR) and the most established superconducting RF technology. A candidate site has also been identified in Japan to possibly locate the machine. 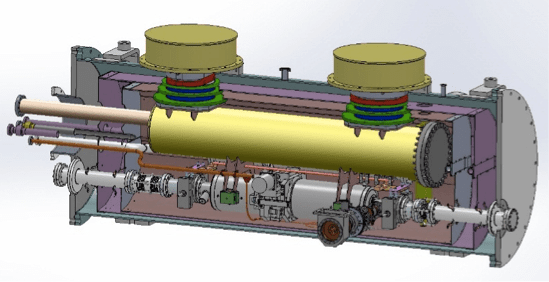 CLIC (Compact Linear Collider) is an eletron-positron collider concept based on two beam acceleration aiming to reach about 3TeV and with a completed Conceptual Design Report (CDR), aiming for a TDR around 2019. A multi-TeV muon collider is under discussion and an active R&D programme of how to cool muons, an essential ingredient, is in progress. Recently the study of a Future Circular Collider (FCC) aiming at about 100TeV centre-of-mass energy for proton-proton collisions has started. It is being pursued both in Europe and in China and will require the development of new superconducting high field magnets (of about 16-20 teslas). The FCC study at least in Europe aims for a CDR around 2018. From a HEP perspective, one can argue about which one of these should be pursued and each of us in HEP has their preference. However there is a strategic aspect associated with this conundrum that cannot be ignored and that is the time scale involved in realising any of these machines. In the most optimistic scenario, the LHC will have a high luminosity run and will run until sometime in the 2030’s. The only option mentioned above that has any chance of some overlap with LHC and/or be accumulating data around that time is the ILC. Even that assumes that the ILC will be realised in Japan on a technically limited schedule without financial or political delays. So it seems that if HEP wants to continue energy frontier physics with complementary to the LHC, precision exploration of the Higgs and explore BSM physics at weak scales above about 200 GeV, unexplored by the LHC, then the ILC is the natural next energy frontier machine for HEP. Any other option will take at least another decade beyond 2030 before it could be realised. That would result in an extended period of time without a running energy frontier machine in HEP. Close to the end of the year 2013, we had encouraging news for the ILC. On 24 December, the Japanese cabinet released the government budget decision for fiscal year 2014 – which includes an official budget for the International Linear Collider. The amount of the budget is 50 million yen, about half a million US dollars, which might not seem a lot at first glance. However, this budget is highly significant in a symbolical way towards the realisation of the ILC, since this budget represents a qualitative change in the status of the ILC in the Japanese government. It means that the ILC is now recognised as a formal project. This budget will be used by the Ministry of Education, Culture, Sports, Science and Technology (MEXT) to investigate and analyse the requirements and issues for the realisation of the ILC, and for collecting objective data which serves as the basis for the future governmental decision. Along with this development at the government level, the Japanese research community is also taking a next step. On 6 February, KEK announced the creation of an office responsible for the ILC project, the ILC Planning Office. The office will be headed by Atsuto Suzuki, Director General of KEK. KEK has been playing a leading role in research and development efforts for the ILC. “With the national budget officially allocated, the ILC project now needs the driving force to bring forward the project. The new office, the Planning Office for the International Linear Collider, will coordinate and integrate efforts on planning, scheduling, and managing research activities. It will also take care of internal and external cooperation and coordination as well as handling discuss the desirable way to organize future international laboratory, or the way to manage it, the research activities already going on,” said Suzuki. The new office is just a section in the KEK organisation, but this is merely a starting point. “I am planning to expand this office to a pan-Japan organisation with a participation of all the researchers and engineers in Japan, and ultimately, make it into an international ILC pre-laboratory,” he said. Suzuki aims to deepen the industry-academia collaboration, which is currently carried out through the cooperation with the Advanced Accelerator Association Promoting Science and Technology (AAA). “We will have a new facility in KEK towards the industrialisation of the superconducting cavities. The new office is also in charge of the industry-academia collaboration,” said Suzuki. In addition, the expert panel established under MEXT started their discussions on the issues pointed out by Science Council of Japan last summer, such as scrutinising the cost evaluation or calculating the number of scientists and engineers needed to build the accelerator and facility, or how to distribute the cost internationally. “With all these developments, I think we can say that the year 2014 will be a real starting year for the ILC as a project,” says Suzuki. They will work on the detailed accelerator design, and issues to manage the international laboratory if it is built in Japan.